Trees turn brown. Red, yellow and orange leaves tumble down so gently on the ground. The wind comes puffing by, and quietly blows the leaves toward the clear blue sky. Autumn may seem to tiptoe by so romantically. However, to the dark side of this bliss are some people who grow gravely depressed by the cold breeze penetrating through their hearts. Such a condition is called seasonal affective disorder (SAD). According to Kim Suk-hyun, a doctor at the Department of Psychiatry in Hanyang Medical Center, 15 percent of the general public experience subtle depression during fall through winter, and two to three percent suffers from SAD. So why do people feel gloomy during fall? Why is SAD harmful to the human health and how can sufferers overcome the disorder? The small amount of sunshine compared to that of summer is what puts people under depression during fall. When people bathe under the sun, sunlight stimulates the body to create vitamin E. Such a substance helps the brain secrete serotonin, which is a chemical that affects the way humans feel, for example making them feel happier, calmer, or less hungry. Generally, people feel despair from fall to winter when sunshine lessens throughout the day, and gradually lighten up during spring through summer. Such a pattern continues throughout life like a cycle. Other than the main differences between the two types of depression, SAD and general depression, people under SAD undergo some more derangements. The low level of serotonin puts a person under a lack of energy, difficulty concentrating on completing tasks, and withdrawal from friends, family and social activities. All of this leads to pessimistic feelings of hopelessness. Matters are less complicated when people under SAD naturally grow out of abyss as the cool seasons pass by. According to Kim Sang-kwon, Executive Director of Korea Professional Psychotherapy Institute Ph. D, humans under grave depression may lead their lives to committing self-suicide if the disorder is not carefully treated. Samsung Hospital has compiled statistics which indicates that approximately 70 percent of people suffering from depression consider suicide, and that 10 to 15 percent actualize such intention. What is worse about the data provided by Samsung Hospital is that a mere 20 to 30 percent of depression sufferers receive medical treatment by psychiatrists. Kim Sang-kwon said, “People undergoing depression usually feel despair hopelessness. Such a state roots from stress, and convince the person to think that he or she will be absolutely be unable to receive help from the people around. In this case, the sufferer also has a weak self ego, because that person assumes that overcoming the stress is impossible.” Kim Sang-kwon further explained that love from one’s parents is the power that strengthens that self ego. People with SAD should expose themselves to sunlight for a minimum amount of 30 minutes per day to enhance the secretion of serotonin. Having a balanced meal and sleeping on a regular basis is also necessary. Taking vitamin pills and drinking at least eight glasses of water each day fastens metabolism, which is the set of chemical reactions that happen in living organisms to maintain life. Cho Jung-yeon, a researcher at the Institute of Sport Industry in Hanyang University, emphasized the significance of exercising, when undergoing SAD. Accordingly, exercise strengthens one’s heart muscles which process cause a regular heart beat and blood pressure. Such a procedure invigorates the human body and encourages positive thinking. Kim Sang-kwon additionally advised drug treatment and psychotherapy when one finds it cumbersome to fight with SAD. As the season of harvest has made its arrival with the birds flying south, some people find it difficult to control their own moods. The lessening amount of sunshine puts them in mental and physical fatigue, which in the worse case, might lead to SAD. SAD is highly crucial to cure, for such a disorder puts a sufferer under the risk of self suicide if not dealt with properly. Establishing a daily pattern and exercising with friends or family is the key ingredient to solving SAD. 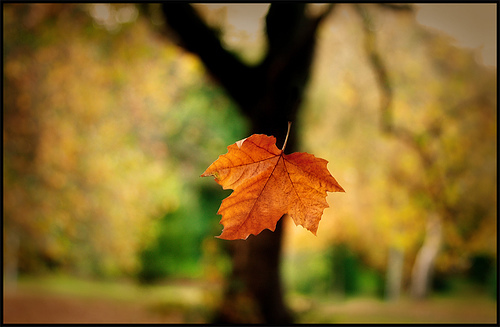 Autumn for some is a warm beautiful season, with fascination whirling through the gentle breeze. Others find the season lonely and tiresome. However, as Kim Sang-kwon underscored, self confidence is what allows people to cope through any kind of mental disorder. The stern belief that he or she is the one who seizes control over the state of mind is what leads a person to success. 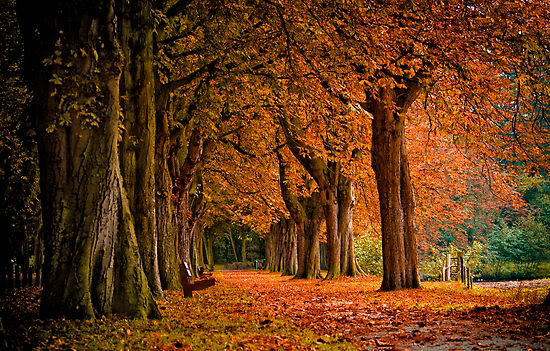 So why not explore the confidence within, and view the magical wonders that autumn has to give?